Originally used to deliver the grub throughout the mess halls of U.S. Naval Station Newport in Rhode Island. Sure to show plenty of wear from decades of use by generations of chowhounds. A cool conversation piece for serving up snacks, putting up for display, or just keeping things organized around your shop. Dig in. Grab yours now! 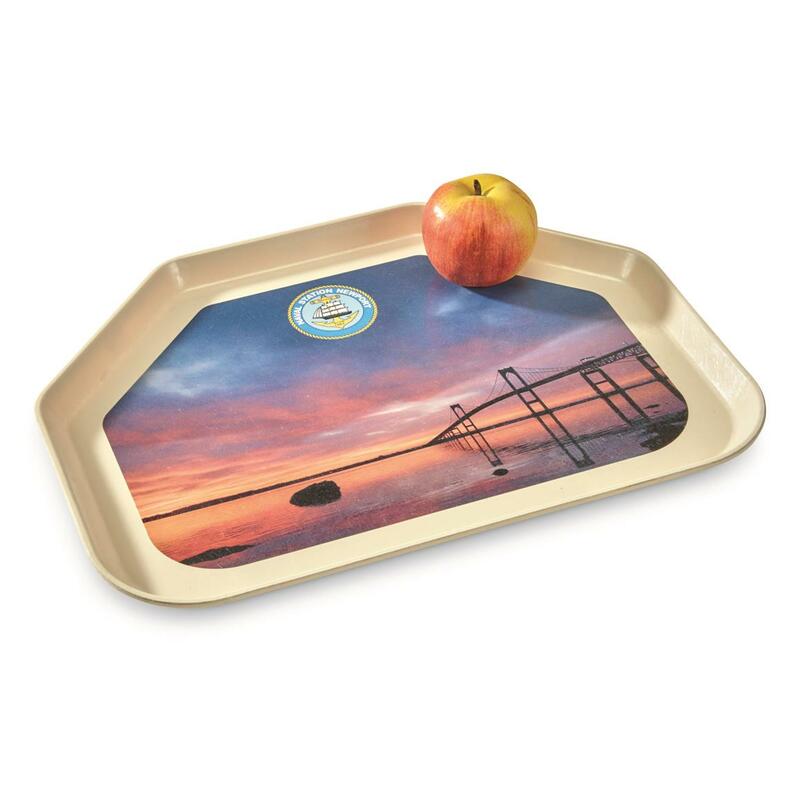 U.S. Military Surplus Newport Naval Base Mess Tray, Used is rated 4.0 out of 5 by 1. Rated 4 out of 5 by Rich O from Good mess tray comfortasble size wear on item considering listed as used is acceptable.convenient size for eating and service..Other used trays bought on site were severely worn.These ones not so!